Huge costs in New Zealand’s net zero carbon emission goals could cost the country more than a trillion dollars by 2050, agricultural economists have warned. 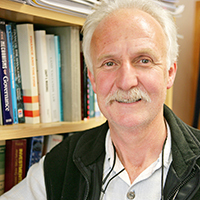 Professor of Environmental Economics Frank Scrimgeour shares concerns about the impact of lower carbon emissions on New Zealand's economy. He did some modelling work 10 years ago looking at the impact of carbon and fuel taxes. A number of indicators he used including household income and capital formation highlighted such policies are also uneven in their impact on sectors. The low exchange rate could spell good news for New Zealand retailers as Kiwi shoppers looking for online bargains from stores such as Amazon and Apple risk paying more this Christmas. University of Waikato Professor of Finance Stewart Locke warned people buying products online to check their actual cost before committing to buying, and look at which country the item was coming from. Since June the NZ dollar has fallen from 72 cents to 65 cents relative to the US dollar, which has pushed up the price of online goods purchased in US dollars. However, not all overseas imports would be affected. "Buying things overseas, the US dollar price is going to make it more expensive for us. But for those in countries that are producing the products, the price they are going to get in pounds is going to be a lot more so their prices are falling," said Professor Locke. "We might not be that badly off. American cars might go up in price, but European cars may not." We live in a consumer culture, and the appetite to spend is worse the younger you are. One of the reasons we fall for consumerism is that we don't do the sums, says Professor of Finance Stuart Locke. "From a finance perspective, the promotion of specials incorporating no internet or no payments to be made for 36 months etc. plays on the average person's lack of sufficient financial literacy to work out there are no free lunches here," says Professor Locke. "These deals are loaded with fees, which simply replace the interest rate as an income stream." The Waikato might be one of the best regions for producing innovative ideas, but it’s not so good at commercialising them. 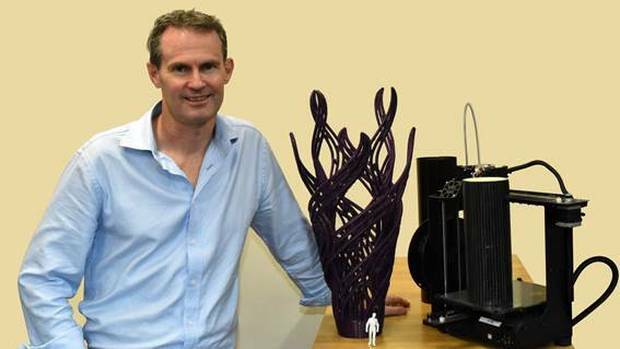 Professor Tim Coltman says New Zealand businesses are still looking over their shoulder to assess ‘threats’ from disruptive technologies like artificial intelligence and blockchain. But some businesses are better at responding to change than others. 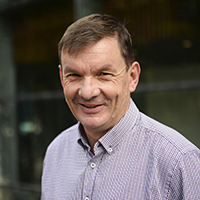 “If we want to grow the nation’s wealth, then businesses across all sectors – from agriculture to tourism – need to find ways of learning from market leaders to reduce the uncertainty associated with investment in technological innovation,” says Professor Coltman. However, there is promise – solid management science that’s used intuitively could be used to help business leaders make better decisions. “Taking a more scientific approach to understand the impact of disruptive technologies can lead to more accurate forecasts and even slight improvements, and can save you big money,” he says. Companies are being told to take a hard look at what they can do for New Zealand’s struggling biodiversity – because it’s good for business. 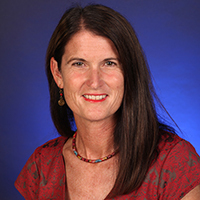 “In the United States, what they’re now calling the 'restoration economy' is worth $25 billion and creates 25 million jobs,” Associate Professor Eva Collins told the Carbon News. Dr Collins is part of a research programme at the University of Waikato looking at how native biodiversity can be improved in cities. “It’s not going to happen without business. Business has to be there, because it’s got the resources," she says. Collins says businesses are starting to understand the value of getting involved in environmental projects, especially as they start looking at the implications of climate change for New Zealand. “If you’re in the insurance industry, having healthy mangrove and wetland systems there to reduce flooding is of material benefit to you,” she says. Collins will speak about the power of cross-sector partnerships between business, not-for-profits and the government to scale up innovative biodiversity at the 'Biodiversity and Business - Growth for Good' event at the Mission Estate Winery in Hawke’s Bay on October 9. Agribusiness expert Professor Stuart Locke told Mike Hosking on Newstalk ZB that Fonterra's recent trading halt on shares is alarming, and has caught everyone by surprise. 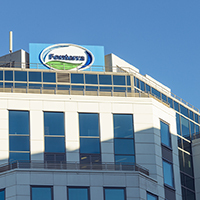 Shares in the dairy giant have been placed on a trading halt, here and across the Tasman, as the company goes over its annual financial statements for the financial year just passed. It says it's found there may be a difference between the final figure and the earnings guidance it's previously given to the market. "I don't think anybody was expecting this and nobody seems to know which way it's going to go. Was there previous forecast on the high side or was it on the low side? ", he said. A team of management students from the University of Waikato are relishing the sweet taste of victory after winning the Student Development Society National Business Case League. 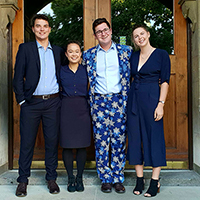 Waikato's case team were named national champions at the weekend following their outstanding performance in all three rounds of the inter-university competition, held in Dunedin, Auckland and Wellington. Team member Liam Whittaker​ said case competitions played an important role in bringing business theory to life. "All the theory they teach us in class is with reference to real-world case studies, which really highlights the practical nature of business. So when you're asked to present a viable business strategy for a company in a short timeframe, it's not that intimidating because you've already been exposed to this style of lateral thinking before," said Liam. 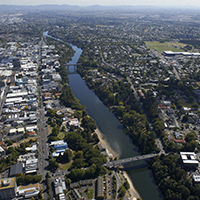 The University of Waikato's New Zealand Institute for Business Research (NZIBR) has completed the first study of its kind to measure a region's attractiveness for people to live, work and play, on behalf of business think-tank Agenda Waikato. The research was led by three economists from Waikato Management School; Professor Frank Scrimgeour, Dr Vijay Kumar, and Economics PhD student Ngoc Thi Minh Tran. Based on 87 indicators of wellbeing - related to financial/physical capital, social capital, human capital and environmental capital - the study results show the Waikato beats other regions within New Zealand as an attractive place to live and play, but lags slightly behind on its work score. Data was collected from multiple sources, including Statistics NZ, NZ Police, Waikato District Health Board, the Ministry of Business, Innovation and Employment, NIWA, and city, district and regional councils. 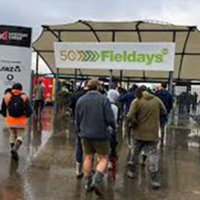 Professor of Economics Frank Scrimgeour has predicted a record spend by farmers at this year's National Fieldays. He believes 30% of visitors will spend more money. "It seems to me with the forecast of the milk price and other agricultural commodities reasonably high, you would expect it would be a very successful event this year. I am expecting another record." Scrimgeour said it's clear that cash flow is steady for most farm businesses. "I think people have been chastened by price shocks in recent years – weather, angst about the government – so they're not going to be going mad and just throwing money away. But where there is opportunity, people will be taking it." Professor of Economics Frank Scrimgeour says this year's Budget was better than he was expecting. "I was concerned that we might end up like the Australians, where the government abandoned their fiscal responsibility," he told the Waikato Times. "I think there are several areas where there is potential benefit for the region." Firstly, there is money allocated for investment in economic growth, as well as investment in fisheries management. Secondly, there is significant expenditure on public health, particularly mental health, says Professor Scrimgeour. "I would have liked for them to have straight forwardly said that they were funding the Waikato medical school. That would have been a good thing to have happened. It's also useful what they have signalled with the expenditure around rail in Auckland and that they announced a bit more of what the gameplan for rail around New Zealand is." The reasons why people visit 'dark tourism' sites of disaster or death - such as 9/11 Ground Zero in New York or Nazi death camps - vary widely and can change over time, says Professor of Tourism Management Chris Ryan. People may initially visit out of respect for those who lost their lives. "But as time passes and the relationship of those living with the deceased melds into decades and even centuries, the motives for visits change," says Professor Ryan. "Those who visit sites such as the battlefield of Culloden or those of the English Civil War may be interested in these places as the sites of significant events, and not simply as places of disaster," says Professor Ryan. Visitors can also be searching for a better understanding of personal, regional or national identity, he says. "The Battle of Waterloo is writ large in the formation of the island story of Britain, and arguably even more so with the events of Dunkirk." Professor of Accounting Howard Davey had some sage words of advice for the record 26 businesses who have entered this year's Waipa Business Awards. "When you start out, you'll be getting into work before your employees and leaving after they go home ... but how often do you actually sit down and ask, how is the business going?" 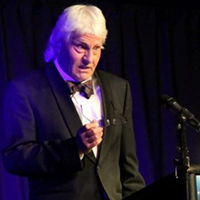 Professor Davey is head judge of the Waipa Business Awards, which are organised by the Cambridge, Te Awamutu and Raglan chambers of commerce, and supported by Waikato Management School. 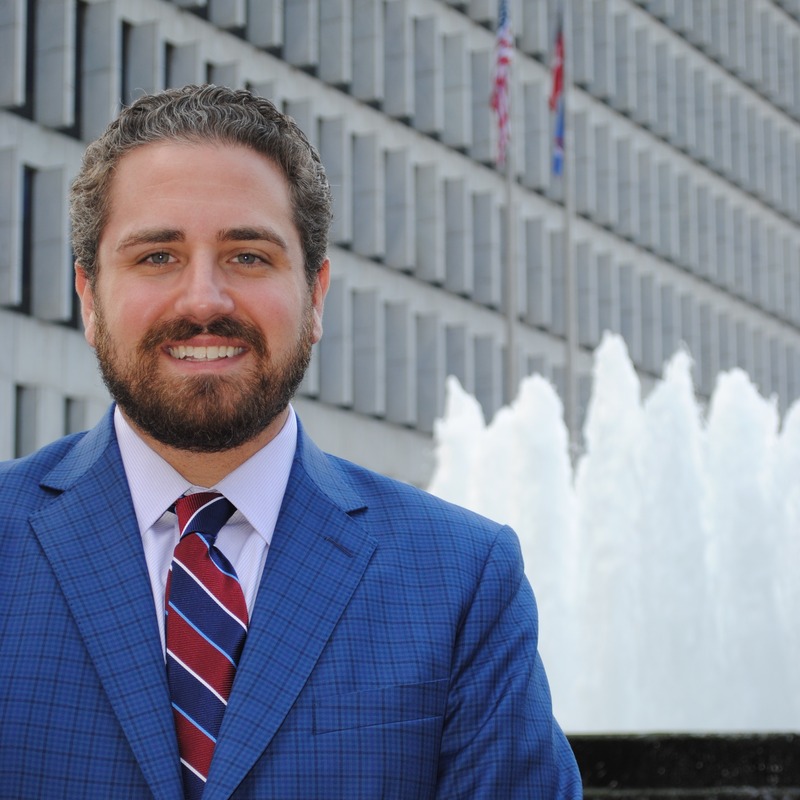 He said the panel of judges would not just be looking for businesses that are making large profits, but also those that are growing year-on-year. Dr Gohan Khan, senior lecturer in digital business, was interviewed about the Facebook/Cambridge Analytica scandal, in which data from 87 million people was collected through a third-party app called thisisyourdigitallife. It was then sold to the UK-based firm Cambridge Analytica, which allegedly used that information to target people with political messages to influence the Brexit referendum and sway the United States 2016 general election in Donald Trump's favour. Dr Khan says most third-party apps that you download on Facebook are developed by "immature" companies "who do not handle personal information securely and in an ethical way". If you're concerned about third-party apps misusing your data, he says the best option is not to download them in the first place, or don't log into apps using your Facebook account details. 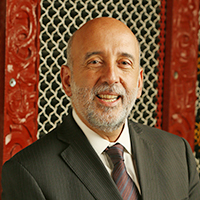 Secretary to the Treasury Gabriel Makhlouf, the govenrment's lead advisor on economic and financial policy gave a public talk at Waikato Management School on 7 March on the topic of 'Natural Capital and National Wellbeing'. Mr Makhlouf says putting Treasury's new Living Standards Framework into policy making will be "world-leading" and seeks to measure and improve New Zealanders' living standards over time. Traditional economic measures, such as GDP, productivity and economic growth remain fundamentally important, he says, but they’re not the whole picture. The Living Standards Framework also takes into account environmental resources, community assets and human capital, such as people’s health, skills and qualifications, and people having greater opportunities to live a life they value. Straight-up error or clever marketing by L&P? Waikato Management School brand strategist and marketing lecturer Korey Rubenstein was interviewed about brand equity in relation to the misspelling of the name 'Cook Strait' as 'Cook Straight' on a can of L&P. "Brand equity is everything a brand does in regard to involving the public to try to grow the brand equity," said Rubenstein. "It could be intentional – L&P is a cheeky little brand and it could be meant to create a buzz. Unintentional or intentional, it's created brand awareness, making it salient, youthful and fun." 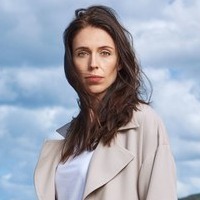 It's not everyday the 🇳🇿️ Prime Minister and University of Waikato alumna is featured in Vogue magazine. Jacinda Ardern's time at the Waikato Management School studying public relations and communications gets a mention in article. She is described as "a 37-year-old with a beaming smile, (who) recently rode a wave of enthusiasm—so-called Jacindamania—to become the world’s youngest female prime minister." Assoc Prof Asad Mohsin (Tourism and Hospitality Management) welcomed delegates to a New Zealand Muslim community leaders’ symposium held in Hamilton on January 20. The one-day symposium sought to brainstorm strategies to draw on the considerable untapped potential of the minority Muslim community of New Zealand. Dr Mohsin is president of the Waikato Muslim Association, which organised the symposium jointly with the Federation of Islamic Associations of New Zealand (FIANZ). Many young people don't realise how many exciting career opportunities there are to work in the rural sector. Exposing high school students to that is a key aspect of the 2018 Rabobank Waikato Agri-Leadership Programme, says Celine Walters, a 20-year-old agribusiness and marketing student at Waikato Management School. 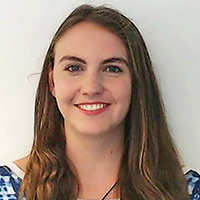 She helped to organise this year's Agri-Leadership Programme from Jan 22-25, and is studying for a Bachelor of Management Studies with Honours (BMS(Hons)). US cosmetics maker Avon Products has named Waikato Management School alumnus Jan Zijderveld (Bachelor of Management Studies, 1983-86) as its new chief executive, based in New York. The former CEO of Unilever, Zijderveld's appointment caps a nearly six-month search for a new boss at Avon. 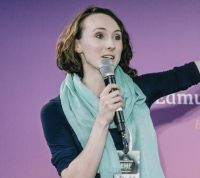 Waikato Management School alumna Alana Scott (Bachelor of Management Studies, 2014) has been named an inaugural Edmund Hillary Fellow after turning her health challenges with Irritable Bowel Syndrome (IBS) into an entrepreneurial business opportunity. The diagnosis, which came along with a restrictive diet to manage her symptoms, was a shock. Alana found herself unable to hang out with friends, stuck at home, and not able to attend her university classes. In a society that places great cultural and social importance on food, Alana found a community of support and resources to be lacking. So she took action to build an online platform to help others in a similar situation, launching A Little Bit Yummy. 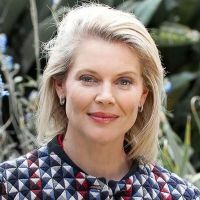 Bachelor of Management Studies (BMS) alumna Vittoria Short is set to become the new chief executive of ASB Bank in February 2018. Short currently oversees Commonwealth Bank of Australia's corporate strategy, marketing, customer data and advocacy, and merger and acquisitions. ASB is a subsidiary of Commonwealth Bank of Australia. "Vittoria is an accomplished, values-driven leader with an outstanding record of profitably growing businesses, delivering innovative solutions and managing complex business units," said ASB chair Gavin Walker. Professor of Finance Stuart Locke said the majority of hospital boards run deficits, making it hard to argue that society is getting value for money. Locke said the State Services Commission, which approves salaries for district health board CEOs, is competent and sets responsible salaries. "The problem lies in the health boards. The district health boards have elected people on them and they do not seem to be focussed on controlling the finances. "How can we possibly believe [Murray's spending] was being monitored, and that was a good deal for our community?" For Ash Puriri, completing his doctorate from the University of Waikato is a far cry from his days as a renowned Barry White impersonator. In his mid-50s, Dr Puriri is a veteran of global cruise ship entertainment, an opera singer and songwriter. 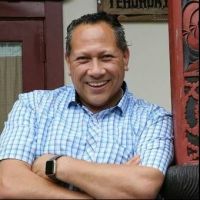 Dr Puriri will graduate on 11 December at Te Kohinga Mārama Marae with a doctorate in Māori indigenous tourism management. 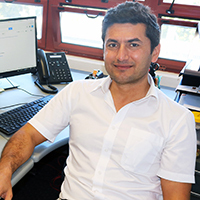 His research examined the cultural values and processes that a whānau would encounter and engage in when developing a Māori tourism business. "Management has long been considered and dominated by a Western methodology, coming from a scientific perspective and using qualitative and quantitative research methods, and now I've introduced a dedicated cultural empirical research methodology, a kaupapa Māori methodology," Dr Puriri said. Bachelor of Management Studies (1990) graduate Simon Limmer has been appointed the new chief executive of Silver Fern Farms. 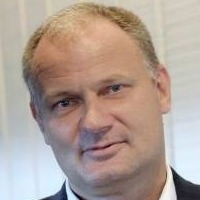 Limmer, 49, has been chief operating officer for Zespri where he has held various roles since 2008. Waikato Management School alumnus Jason Minkhorst (Bachelor of Management Studies, 1989 - 1992) has been confirmed as General Manager Sales for Ballance Agri-Nutrients, with responsibility for Ballance's national sales strategy. He will join the farmer-owned co-operative in March 2018. Jason is currently Director Farm Source Stores of Fonterra’s rural retail business, Farm Source. 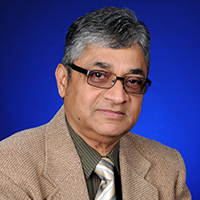 He has more than 15 years' extensive commercial experience in senior executive and governance roles in the dairy sector. Waikato Management School BMS(Hons) alumna Komal Mistry has been named Young Executive of the Year at the Deloitte Top 200 awards held last night. Komal, general manager of Fonterra Ventures, has been a driving force in the company's highly successful 'Disrupt' programme - dedicated to finding innovative new ideas among the dairy giant's 22,000 employees. "We've taken the model from a mere pilot to global in 12 months," she says. "It's essentially a platform where any of our people can come up with business concepts and we second them into bringing them to life." In the latest issue of TIME magazine, Waikato Management School's Professor Debashish Munshi praises the outstanding communication skills of his former student, Prime Minister Jacinda Ardern (BCS in Public Relations and Politics, 2001). At 37, she is the youngest female leader in the world. The New Zealand banking system’s inherently risk-averse nature is one of the key reasons why our banks have been devoid of scandal for many years, says Professor of Finance Stuart Locke. Locke points to New Zealand’s strong record on transparency and corruption as some factors that could account for the squeaky-clean nature of the Kiwi banking sector. He says banks tend to be very conservative lenders to small business borrowers and small borrowers generally. They can do this because they have plenty of business from quality large borrowers. As a country without a strong base of domestic savings, much of the money lent out by the banks on mortgages is borrowed offshore. The more they borrow, the higher the risk. One way of mitigating overall risk is not to move into risky areas, which appears to be the approach of Kiwi banks. Kiwibank is positioning to step into that area, to provide services to people other banks won't deal with, says Locke.